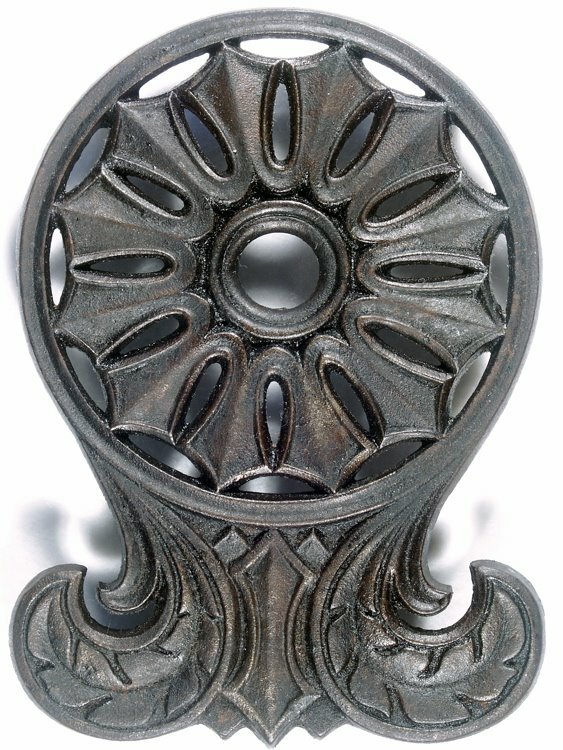 This handsome trivet design, known as the Hopewell, is frequently described as an antique. However, it’s important to know why it’s a contemporary casting. I was able to get in touch with the Superintendent of the Hopewell Furnace National Historic Site in Elverson, Pennsylvania back in 2003 when I was completing my first book. He confirmed they sold this Hopewell trivet design in their gift shops, beginning in the 1980s. He stated it was fashioned after a piece of metalware (not a trivet) found on the Hopewell Furnace grounds during excavation. The trivet was cast, from the mid 1980s to 1995, by the Unicast Company of Boyertown, PA. Since then casting has been performed by the Delvest Company of West Chester, PA.
On the trivet reverse I have seen three signature variations: Hopewell inscribed; Hopewell on a raised plate; and unsigned. None appear to have significant wear, finning, rough cast marks or anything to suggest that they are older castings. The signed versions measure 8 x 5¾ “; the unsigned versions are smaller, 7½ x 5½”. The smaller, unsigned trivet is most probably a copy of the original, since it’s one size smaller. So, in conclusion: whether original or copy, the Hopewell design is a fairly recent casting and definitely not an antique! This entry was posted on September 17, 2008 by Lynn Rosack in Contemporary Trivets and tagged cast iron, Hopewell, Hopewell Furnace NHS, Unicast Company.